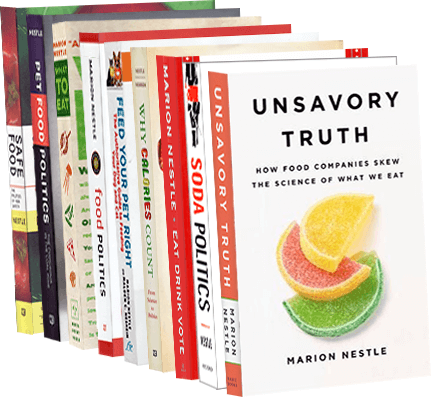 Food Politics by Marion Nestle » Coca-Cola fights obesity? Oh, please. Coca-Cola fights obesity? Oh, please. In case you missed all the publicity about Coca-Cola’s new ad campaign positioning the company as a force for public health, take a look at its new two-minute TV ad. The video—how much do these things cost?—argues that the company is producing lower-calorie products in smaller sizes and promoting community activity, that all calories count, and that it’s up to you to fit Coke into your healthy active lifestyle. The ad is an astonishing act of chutzpah, explainable only as an act of desperation to do something about the company’s declining sales in the U.S. and elsewhere. Targeting its “drink more Coke” marketing to kids. Targeting marketing to low-income minorities. Lobbying and spending a fortune to defeat soda taxes and caps on soda sizes. Fighting attempts to remove vending machines from schools. Pricing drinks so the largest sizes are the best value. “Bribing” health professions organizations to shut up about research linking sugar-sweetened beverages to poor diets and weight gain. Pushing Coke sales in developing countries where rates of obesity and related conditions are skyrocketing. Instead, it’s doing all these things, but not talking about them in videos. The company is supposed to be releasing a second video tonight, explaining how to work off the “140 happy calories” in a soda by dog-walking, dancing, or laughing. If only. Addition, January 18: Someone who calls himself John Pemberton has gone to the trouble of presenting the 2-minute commercial with a somewhat different narrative—the real story about Coca-Cola and obesity. If that link doesn’t work, try this one.